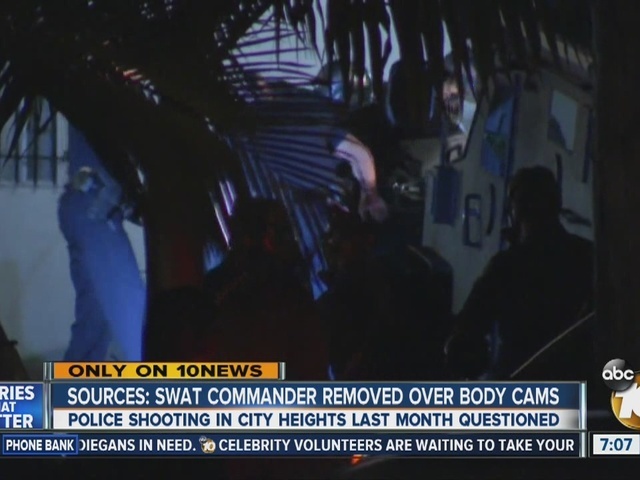 SAN DIEGO -- An order to turn off body cameras may have cost a San Diego police SWAT commander his position, following a standoff and shooting last month in City Heights. The standoff ended with a double murder suspect, accused of killing Arline Iribe and Alex Velarde, getting shot. It also resulted with a SWAT commander losing his position. 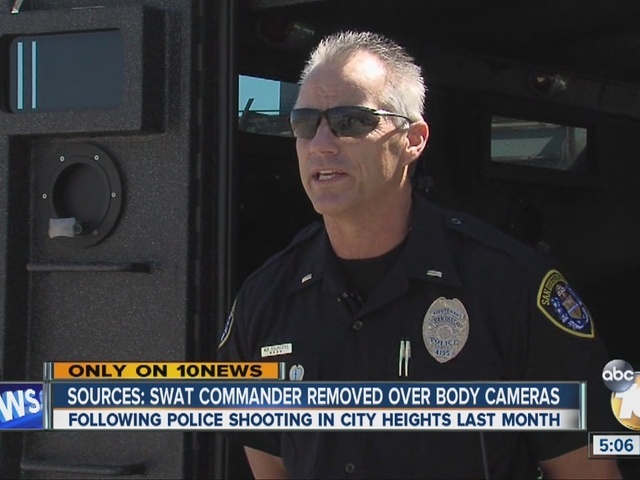 Sources told 10News the chief removed him from the team almost immediately after the shooting because he told his SWAT officers to turn off their body cameras during a briefing before the incident and never told them to turn their cameras back on. The reasoning, sources say, was so their tactics would not be disclosed. One SWAT officer fired a shot hitting Felipe DeJesus Vega. He had already led police on a chase, and allegedly fought officers after a standoff. San Diego Police Department updated its disciplinary policy dealing with body cameras about a week after the shooting. A first offense can now result in an officer getting fired. The San Diego Police Department takes all Officer Involved Shootings very seriously. A thorough and methodical investigation into all aspects of this incident is currently under way. Providing further information would not be appropriate at this time, as it may affect the outcome of the investigation. SWAT deployments are extreme uses of force that often result in violence. Transparency and accountability during SWAT raids is crucial to improving community trust in police, and therefore body cameras should record the entire incident without interruption. SDPD policy recognizes this: “During searches of commercial buildings or residential dwellings…[t]he recording of a suspect confrontation normally outweighs tactics potentially shown in the recording.” It would take extraordinary circumstances to justify turning off body cameras during a SWAT raid. Additionally, recordings should be made available to the public in instances where public interest in transparency and accountability (including use of force incidents) outweigh privacy interests. Lt. Saunders has been reassigned to the Northwestern Division.